After months and months of rumors, Blizzard finally confirmed Diablo 3 would be heading to consoles - with its announcement at Sony's PlayStation 4 reveal. Today Blizzard has confirmed the game will be out on Microsoft's Xbox 360 along with the PlayStation 3 version on September 3rd. 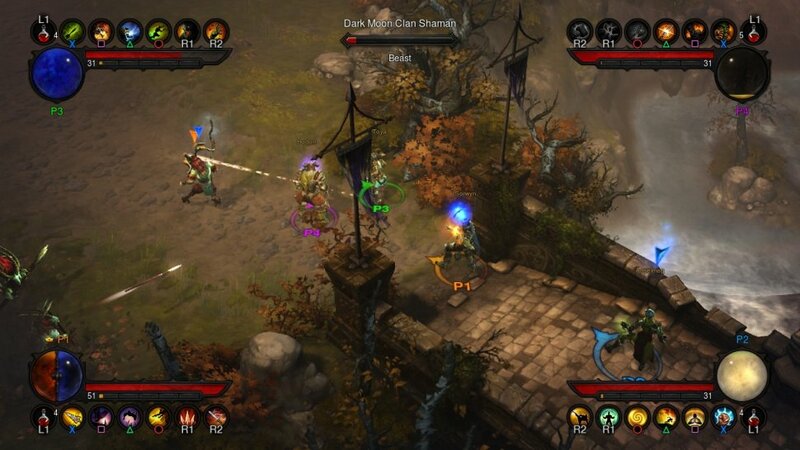 Diablo 3's console release features four player local co-op or four player online co-op. The game also supports combo co-op so you can combine local and online players. Blizzard has also carefully redesigned the interface to account for multiple players and the controller. Our own Tally Callahan went hands on with it at PAX East and came away mightily impressed. The interface looks pretty sleek... one of the features they’ve added to the console version of Diablo 3 ...is called “fast equip,” and I find it brilliant. Whenever a player picks up something from the ground, the name of the item will pop up above their health bar for a few seconds. Without interrupting gameplay, any player will be able to simply hit up on the D-pad to cycle through all the items he or she has recently picked up. It’ll show the name along with a comparison with the currently equipped gear in the same slot (comparing factors such as armor, damage, and life) displayed in a pretty informative, yet compact manner. Pre-ordering the game will net you an exclusive in-game item called the Infernal Helm. There's no date yet on the PlayStation 4 version but it sounds like it'll be a launch title. Get ready to hit up Sam's Club for the bulk pack of pizza bites - you and your couch co-op buddies are in for the long haul on September 3rd. These demon's aren't going to kill themselves.